London, ON: Former London Knight Corey Perry scored 1 goal and added 1 assist last night to help the Anaheim Ducks to a 6-2 win over the Ottawa Senators to win the 2007 Stanley Cup Championship. Perry, 22 had 6 goals and 9 assists for 15 points in 21 games in the 2007 Stanley Cup Play-offs. He finished tied for 7th in NHL Play-off scoring and was 2nd on the Ducks along with Chris Pronger and Teemu Selanne in playoff scoring. Perry becomes only the 2nd Canadian to win the Memorial Cup, World Junior Hockey Championships and Stanley Cup. He joins his Anaheim Ducks teammate Scott Niedermayer as the only 2 members of this exclusive club. Perry was a member of Team Canada that captured the 2005 World Junior Hockey Championships in January 2005. Perry led the London Knights to the 2005 Memorial Cup Championship in May 2005 and was named MVP of the Memorial Cup in a year that saw his London Knights go 79-9-0-2. 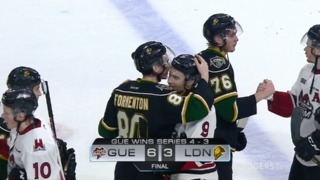 Perry finished his OHL Career as the All-Time Franchise Leading Scorer in London Knights history with 140 Goals and 240 Assists for 380 points. He was selected by the Knights in the 1st Round ( 5th Overall ) at the 2001 OHL Draft. He was the Anaheim Ducks 1st Round Selection ( 28th Overall ) at the 2003 NHL Draft in Nashville, Tennessee. 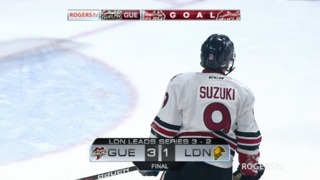 He is a graduate of the Peterborough Petes Minor Hockey Associations and is the son of Geoff and Nancy Perry. 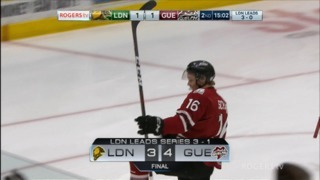 His brother Adam recently completed his 3rd season with the London Knights and recorded a career high 45 goal season. 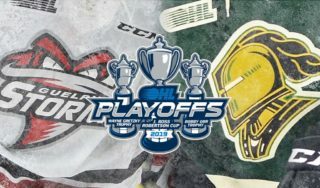 rThe London Knights Hockey Club’s players and staff would like to congratulate Corey and his team on their 2007 Stanley Cup Championship.